At this time of year, 95% of the time you'll find me (greedily) indulging in my eighth mince pie of the day, warming up another (enormous) vat of mulled wine and singing along (badly) to 'Good King Wencesles'. All the while dressed in a Christmas jumper, my uniform every December. 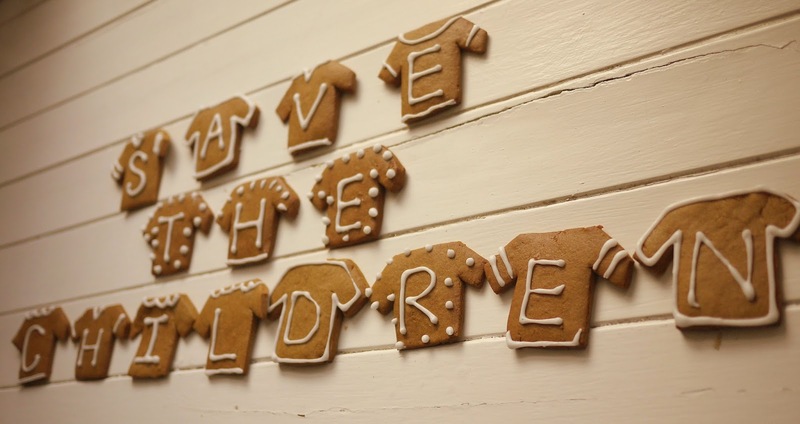 And this year there's an even better excuse to wear your favourite Christmas Jumper: Save the Children are calling on everyone to 'Make the World Better With a Sweater'. This Friday, 12th December 2014, don your snazziest, festive jumper and spread the jumper joy. Save the Children’s Christmas Jumper Day is now in its third year and, thanks to fantastic supporters popping on their pullovers up and down the nation, they've raised more than £1.6 million to date. They're asking grown-ups for a suggested donation of £2 and schools and children for £1. The money raised will help save lives; just £2 could pay for potentially life-saving antibiotics to treat three babies with infections. Please do wear a woolly or bake a jumper biscuit and spread the jumper joy this December, all the while raising vital funds for a very important charity. Happy baking! 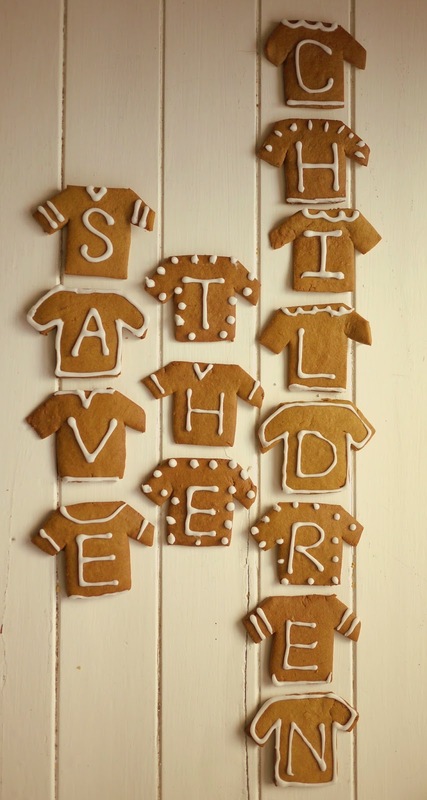 A brilliant cause and I love what you've done with the biscuits!